What Does Putting Weight Loss On The Back Burner Mean? It is so ingrained in the anti-diet movement and just rolls off the tongue. But it made me think that just because it was one of those things anti-diet folx say, it doesn’t necessarily mean that everyone really understands it. The statement “put weight loss on the back burner” is an analogy. So you might find it helpful to visualise a literal stovetop with burners. Here is one I prepared earlier! 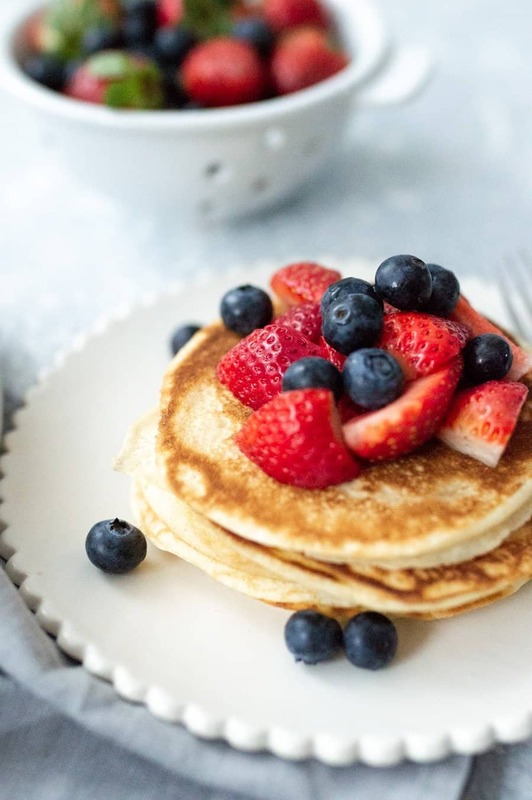 Now, imagine that your work towards becoming an intuitive or mindful eater is the frying pan on the front burner cooking the pancake. As you can see in the picture, you also have a cast iron pot sitting on the back burner of the stove. 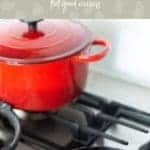 In this analogy – your desire to lose weight is the cast iron pot. You are aware that it is there, but it is not what you are putting all your attention and effort into. 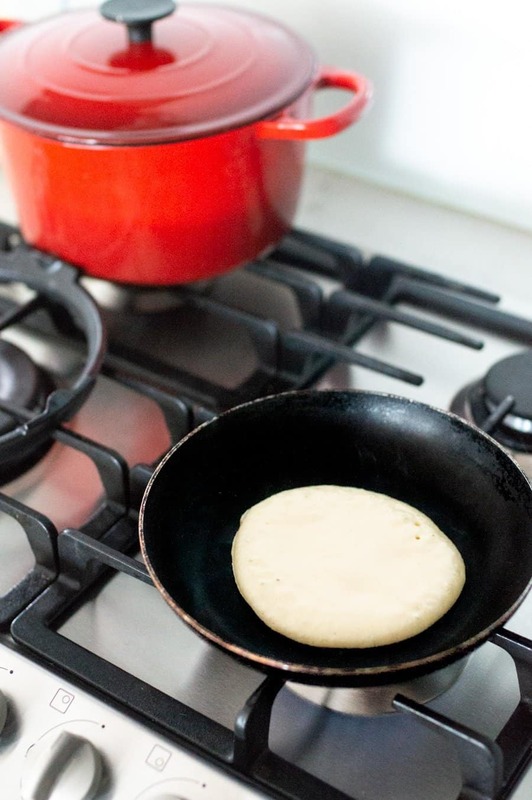 You are focussed on watching for the bubbles to appear in the pancake so you know to flip it before it burns. You are not being distracted by the pot (weight loss) in the background. Another way to think about it that might make more sense to you is to imagine your computer or laptop with a whole heap of tabs open on your screen with the pursuit of weight loss being one of those open tabs. But while you are working on becoming an intuitive eater, you have the ‘pursuit of weight loss’ tab minimised on the screen – it is still there, but it’s just not the tab you are working on or looking at. I hope those analogies and visualisations help. why put the pursuit of weight loss on the back burner? 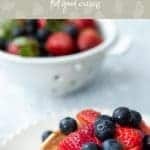 When we focus on weight loss as our main reason for doing intuitive or mindful eating, inevitably we turn our mindful eating and intuitive eating practise into the ‘hunger and fullness diet’. The hunger and fullness diet is that one where you are ONLY allowed to eat when you are hungry and you MUST stop eating when you are full. And any deviation from this means you are failing at it or doing it wrong. 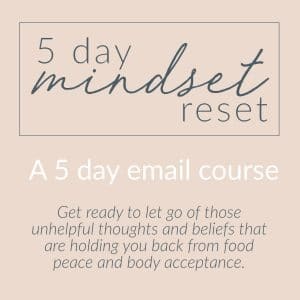 As well as this being another diet (which we know don’t work), being wrapped up in wanting weight loss means we miss out on the opportunity to reconnect with our bodies internal wisdom and feel truly satisfied with food. You basically miss out on all of the benefits of eating mindfully. Being uncertain about giving up the hope of losing weight is perfectly normal. It is even perfectly normal if you are reading this and thinking that you are not sure if you even WANT to give up on the hope of losing weight. After all, we live in a culture that is very weight-centric and prizes people that fit the thin ideal. So, it makes sense that the thought of giving up on losing weight seems difficult and scary. But that is why the analogy of putting weight loss on the back burner is so great – you are not being asked to forget about it. It is still there, like the pot – but just off to the side where it is not taking up all your attention and distracting you from the REALLY important things in life. Such a helpful post! Thank you for sharing all of this! Interesting topic. I need to work more on intuitive eating. These are easy to understand and relevant analogies! Hi Nina.Great article.I have difficulty falling asleep and waking too early.My friend advised me to try GABAPENTIN but I’m worried because I don’t want to gain weight.I’ve read an article somewhere that Exercise and Eat healthier are some ways you control your weight while taking Gabapentin. Do you agree? Thank you Donna. If you are having difficulties sleeping, I would recommend seeing your doctor regarding this to determine the best course of action for you. They will be able to discuss side effects of any medications recommended and help you work out if the benefits outweigh the side effects. I will definitely use this one with my PT clients. Fantastic! I am glad you have found it useful. What a wonderful way to describe this notion. You have a great way with words and thanks for taking the time to discuss this idea. It really helps. Loving this post so much! Thanks for your thoughts! !